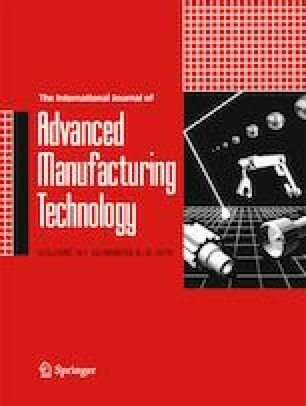 This paper shows tribological compatibility enhancement in dry turning of a low carbon steel (AISI 1020) with High-speed steel cutting tools, due to physical vapor deposition (PVD) of hafnium and vanadium nitride multilayer coatings ([HfN/VN]n), with different bilayer number system in each tool (n = 1, n = 30, n = 50, and n = 80). Tool wear mechanisms were assessed by means of scanning electron microscopy (SEM) and energy-dispersive X-ray spectroscopy (EDX) techniques, and surface integrity by roughness measurement and SEM inspection. Results show these multilayer coatings increase tool life up to 43%, and modify contact at tool/workpiece interface, as a function of bilayer number (n), due to their outstanding mechanical and tribological properties as a low coefficient of friction, high thermal conductivity, and high hardness; this produces a decrease of chip compression ratio, from 3.6 to 2.7, and workpiece roughness almost 1.6 μm lesser with the tool [HfN/VN]80. Moreover, improvement of workpiece integrity includes its corrosion resistance, from a corrosion rate of 1.5 mmy, which decrease exponentially with higher bilayer number, to a corrosion rate lower than 0.1 mmy obtained with 80 bilayers, due to the change of chip morphology. Therefore, [HfN/VN]n coatings could enhance productivity and quality in an industrial manufacturing application, as these protective thin films increase tribological compatibility of tool/workpiece system. • Hafnium and vanadium nitride multilayer coatings enhance tribological compatibility in dry turning of a low carbon steel with a coated high-speed steel cutting tool. • Deposition of [HfN/VN]n coatings increase workpiece surface integrity and tool life. • Workpiece corrosion and tool weight are also performance indicators. • Tribological compatibility at workpiece/tool interface increases as a function of bilayer number. • Chip compression ratio and tool wear decreased as functions of the [HfN/VN]n bilayer number. Data will be made available on request.